The Facilities Services Department launched its new Archibus system on January 5, 2015. The switch to a new computer system is meant to eliminate some existing drawbacks of our previous legacy system, such as difficult Web usage and hard to obtain report information. The new Archibus system is meant to give our customers easier access to general work order information, broader access to more detailed reports, and real-time updates on work orders in our system. Improved responsiveness of Facilities Services through changes in procedures, quicker electronic approvals, and the availability of more information and services on the Web. If you have any questions, please feel free to contact Kevin at garlandk@utk.edu, Leo at lpedigo@utk.edu or Veronica at vhuff@utk.edu. Archibus is a global provider of real estate, infrastructure, and facilities management software that will allow Facilities Services to better schedule, dispatch, manage, and report maintenance tasks efficiently using self-service capabilities to reduce operational costs and increase customer satisfaction. By logging on to Archibus Facilities Services customers are able to view all past history of their work requests, receive timely notifications of work status changes as work proceeds, can check the status of their work requests day & night, and can review billed work orders online. It is Facilities Services goal to provide better transparency to our customers and to provide faster responses and turn-around times with requested work. Because Archibus is a web-based application that automates many steps during the maintenance process, we are raising customer satisfaction levels by empowering requesters and communicating with them at every step of the process. Click here to open a brief PDF file showing how to logon to Archibus and how to create a service request. All requests for Facilities Services work should be entered online using Archibus (or using our "One Call" line: (865) 946-7777; or 6-7777). 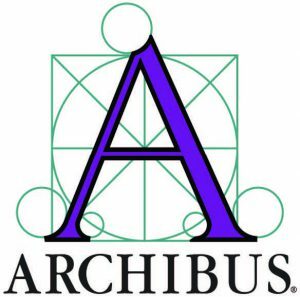 Please review the links below to find out more about the impact of our changeover to Archibus. If you have any questions feel free to contact us via email garlandk@utk.edu or phone at: (865) 974-4009. What does this mean to campus financial officers? Customers can login to Archibus using their NetID and password at (the same url where service requests are submitted or directly from the (new Archibus site). From there customers will also be able to view or submit Project Requests, Key Requests or Event Solicitations. Financial Officers can approve/reject work or provide substitute approvers when they know they will be out of the office. All requests for Facilities Services work should be entered online (or using our "One Call" line: (865) 946-7777; or 6-7777). No formal training will be required of our customers, however, current customers may wish to view our online demo system (creating work requests) by clicking here (username: aidemo password: afm) -- Just click REQUEST SERVICE in the upper right of the screen to enter a sample request. Go to the "Training Guides" page to find step by step instructions for Archibus processes. All requests for Facilities Services work should be entered online with Archibus (or using our "One Call" line: (865) 946-7777; or 6-7777). Again, if you have additional questions or comments please contact us via email garlandk@utk.edu or phone at: 974-4009. Facilities Services Complex 2040 Sutherland Ave.